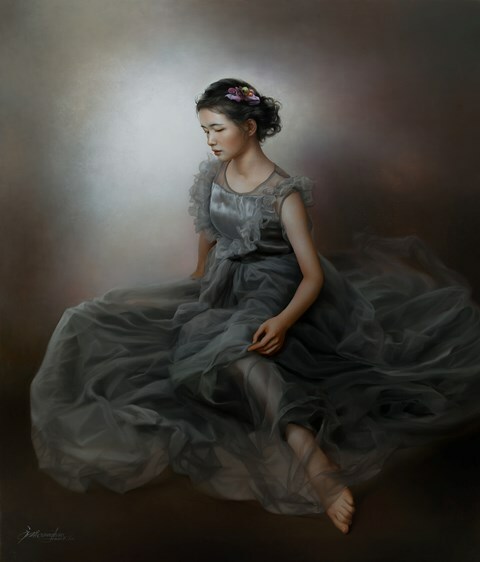 Wang Kun was born in Jilin Province of China in 1970. His legs were paralyzed due to polio at the age of 3. He loved painting since childhood and attended elementary art training at the age of 7, and at this tender age his extraordinary art talent became apparent to everyone. Basic training could not satisfy his strong desire for the study of art, so he sought a higher level of education. Unfortunately his physical restriction was a serious handicap. He was unable to attend art schools or classes that were not in his immediate neighborhood so he had no choice but to learn by himself. With his family’s full support and encouragement, he tried his best to find and collect as many resources as possible related to art and began a basic but strict, formal, comprehensive and professional self-training: this self-study laid very solid basic skills of drawing as well as paving the way for future developments in art. 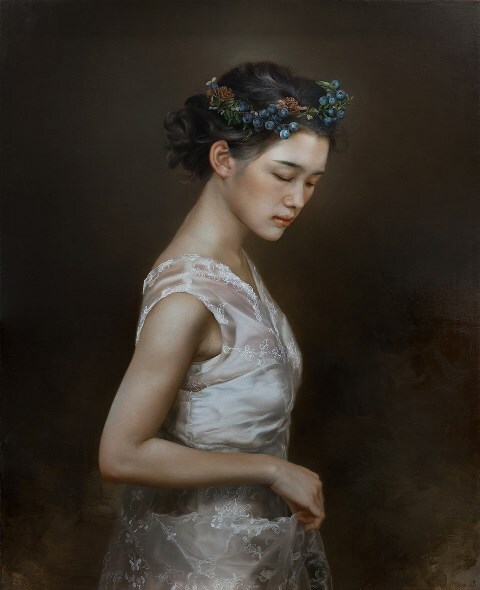 He decided that his studies will encompass Western Oil painting, Chinese painting, calligraphy, seal carving and many other artistic fields. In the mid-1980’s he concentrated on oil painting. With his artwork “Harvest on Black Soil,” published in “Art Panorama,” he established his way to modern classical realism, and then he developed a unique step by step artistic style in oil painting technique. 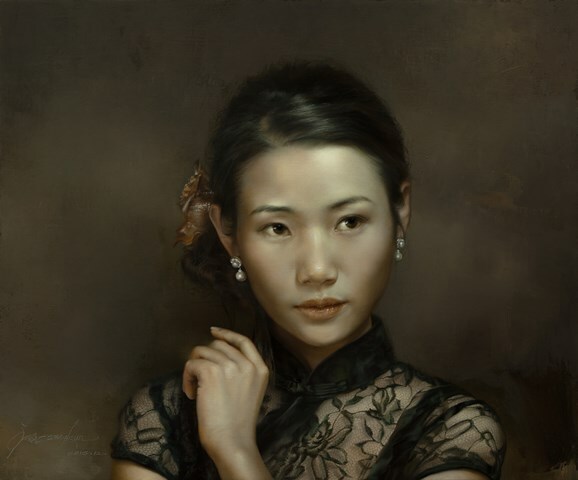 He moved to Beijing in 1994, and became a professional oil painter. 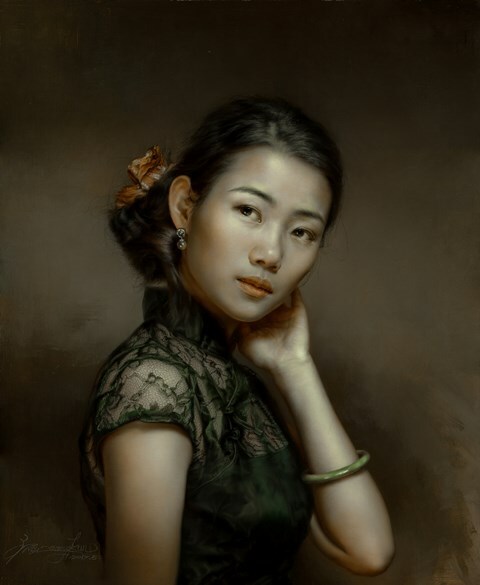 Wang Kun now became a well- known painter and young talented artists were coming to him to study his techniques. In 1998 he founded a WangKun Studio and since that time he is always surrounded by students and colleagues who sought his advice and guidance.